Affiliate links are one of the most effective tools for selling flight tickets, hotels, tours, and other services and goods on a travel-blog. There are several solutions for conveniently managing a great number of the affiliate links on a travel website. On this page, we have considered how to set up affiliate link redirects on the most popular CMS for the travel websites — WordPress. Here you also will find details about convenient massive link replacement. What is the redirection of links? How to make the total replacement of the old links on the website? Should you redirect the affiliate links? Over time, the number of the links on a site increases to an amount that could be hardly managed manually. The trouble begins with even small-scale projects when the replacement of the old links with new ones is required — for example, in the case of redirecting traffic from old links to new pages. Manual replacement is the backbreaking labor. In addition to difficulties maintaining the links, a large number of external links can influence the search engines’ treatment of your project. 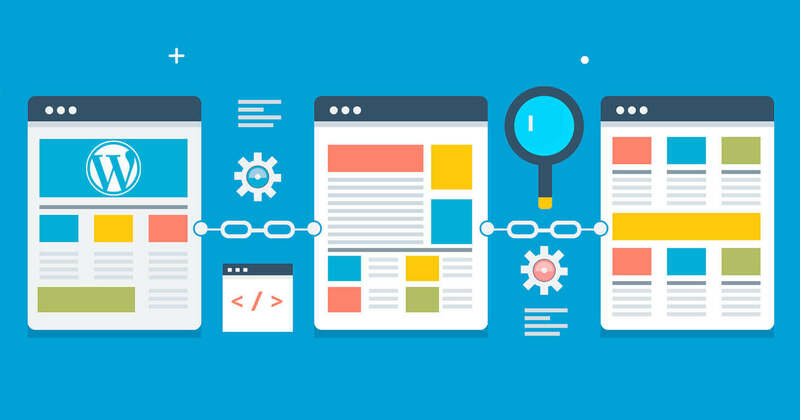 Converting links to inline tag <nofollow> partially solves the problem with search engines but doesn’t simplify the maintenance of the hundreds of links on your site. The fundamental solution to the problem is to use a link management system to fix the links via a redirect. With tools for creating and managing links, you can replace a target URL in just a few clicks. In the end, the link in your article still has the same format yourdomain.com/link1, but the user goes not to jetradar.com as before, but to flights.jetradar.com, for example. There are several ways to manage affiliate links. We have collected the most important ones below and reviewed them in detail. Redirecting is referring users to another page. When clicking a link such as yourdomain.com/link1, the user lands on the affiliate page — for example, jetradar.com. Redirection is necessary not only for managing links in articles but also for eliminating doubling, 404 errors, and domain name slake. In the last case, you can save the site’s position in SERP and traffic from the previous domain name. The user clicks a link. The server or browser processes the data. The user is automatically redirected to the defined link in cases where there is redirect. This process is automatic and instantaneous. Ten HTTP codes for redirects exist, but only three of them are in demand. Let’s look at their key points. 301: A constant redirect indicating that the transfer is permanent. This code usually means the site’s redirected while moving to another domain. 302: A temporary redirect. It indicates that the site move is temporary. This is perfect for the redirecting affiliate links. 307: A Temporary redirect. The implementation of the code doesn’t allow the query method (GET/POST) to change. In practice, codes 307 and 302 are identical. Rookies could hardly deal with putting redirects into effect. That’s why we have reviewed the basic methods for redirecting links. The examples above are simple services for shortening links. These redirects don’t solve all your problems but do allow you to package the links in the same format and learn more statistics. Redirection that is done with the aid of PHP scripts puts additional strain on the server. However, it is preferable when you have a great number of pages. This kind of redirection is performed on the server level. Redirection via an HTML code is similar to JS and operates on the browser level, so it proceeds slower than redirects on the server level. If the website is based on WordPress, then it is better to use third-party plugins. They help to shorten the link and to create the link on your domain, as well as manage redirects and collect statistics. Below we look at each of the redirects’ methods and give the valid sample. Unfortunately, as of April 13, 2018, only old users can use this service. Google will stop running this service on March 30, 2019. U.to is a simple service with a minimal set of options. It allows you to create a very short link starting with u.to. The service is available in seven languages. According to user reviews, this site is one of the most trusted services, always works always well, and hasn’t had much downtime in the past. Design plugins offer a similar mechanism but include various extra functions. You will get a shortened link on your domain as a result. Plugins provide fast link redirection on WordPress and a convenient way to manage the links. For example, you can replace the target URL. 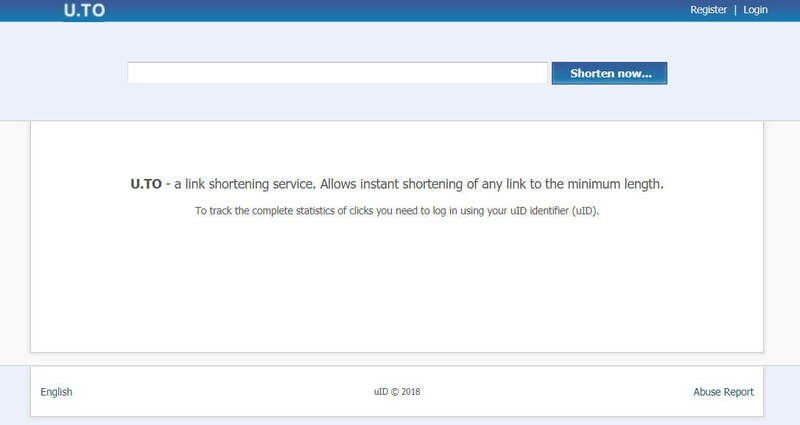 Shortlinks by Pretty Links is a multi-functional plugin for managing links on WordPress that has already collected 200,000 active installations. With the plugin, you can create your own links with the redirection to the target URL from your website’s administrative panel. You can also manage the links that have been previously created. There is no need to know how to code to work with this service. In the redirection area, choose the basic parameters—in this case, 302. Click Create at the bottom of the page to save the link. Then you can use the link — in this case, yourdomain.com/avia — anywhere you want. The user will hop to the page you’ve set after he clicks the link — https://search.jetradar.com/flights/LON1312IST1 1 in our example. All the links are accumulated on the plugin’s main page. Here you also see the basic statistics, such as the total number of clicks. You can change your target URL as needed—just choose the link you’re interested in and set a new Target URL in the opened window. Then the previous link will lead you to a new page, and you don’t have to replace the link on your site. On the Clicks page, more data on the clicks is available. The paid license costs $57 a year for one website. You can get a 10% discount with the coupon code 10OFF. 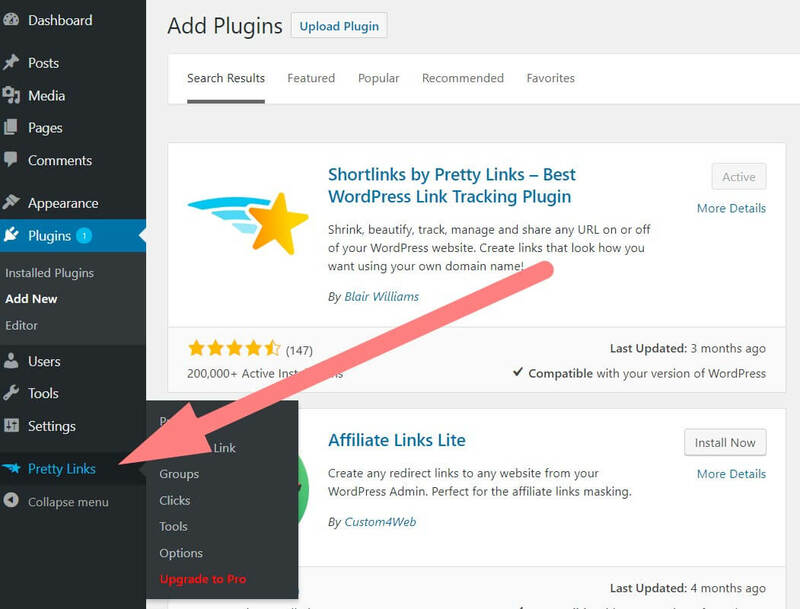 Easy Affiliate Links is an alternative to Shortlinks by Pretty Links. The plugin is focused on the Amazon affiliate program but can be used for any other links. More than 10,000 people use Easy Affiliate Links for link reduction to date. The developers also offer extra paid options, such as detailed statistics. Click location, A/B testing, and “broken” link tracking are currently under development. 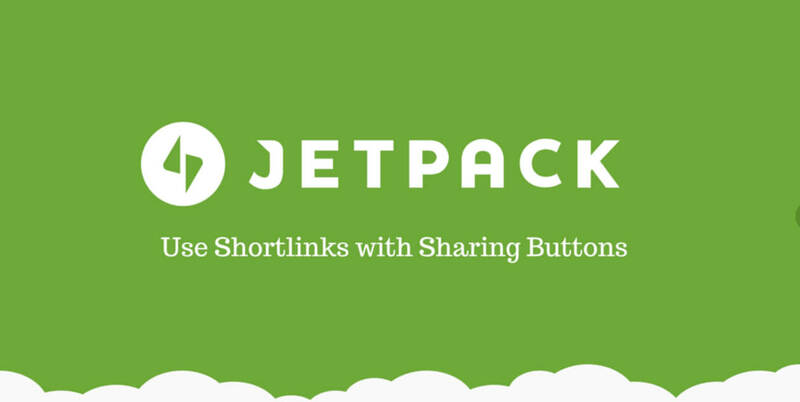 Shortlinks for Jetpack Sharing Buttons is a plugin for redirecting on WordPress with a full set of functions for link reduction. It is mostly used as an addition to the Jetpack plugin to increase its options. You can track the statistics via a free plugin, Google Analytics by Yoast. The developers note that Shortlinks for Jetpack is currently under development, so errors are possible. However, they are usually corrected very quickly. Because this project has open source software, the issues are sent to GitHub. A paid version (PRO version) for one, five, or any number of sites is available. As a result, you’ll get the links in yourdomain.com/index.php?l=jetradar format. This sample demonstrates the common redirection of a link in WordPress via a PHP script. It is only half of the story to create the link with a redirect. Then you’ll have to manage the link – track statistics and change target URLs. The turnkey solutions look better than common PHP/JS scripts as they allow you to do more with less effort. Except the link managing that you’ve already had, you can have one more problem – implementing new links on the site or replacing the old ones. For example, you have been doing the travel blog for 4 years already but have just found out the special plugins for links. Then you have to solve the problem – replacing hundreds or even thousands of old links. Replace the old links for the links in a new format. Set the links for the words that haven’t had them before. This plugin is great but not free. You can solve this problem just fine using two plugins – PrettyLink (free version) and a free plugin for the old links’ replacement on the site. Important! You should always create a backup copy of your site’s database before starting the replacement! A massive replacement of the old links. Selecting the separate tables to work. An “idle” start to look through the areas that are going to be updated. This method has some alternatives. You can use either identical plugins or make changes in MySQL database via host control panel. One more opportunity is to use the PHP-script “Replace DB version 3.1.0” that is available here. It is compatible with both WordPress sites and the other popular CMS. While preparing this material we have tested some widespread solutions, including plugin URL ShortenerbyMyThemeShop. 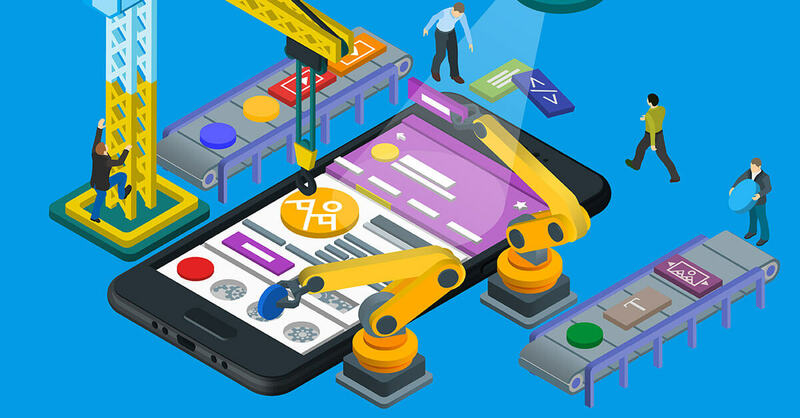 The promising description claims that you’ll get tools for redirecting, managing, and implementing massive replacements for free. It could be a great alternative to the paid PrettyLinkPro, yet it does not work in practice. You should redirect links to manage your own project in the best way. The more usable the tool you select, the more efficient your work will be. The link managing systems provide more options than the manual inclusion. For example, you can make A/B testing of the new niche in some clicks via the target URLs replacement. Certainly, you can do manually all the plugins and scripts’ settings. The question is one of the greater convenience in your work and your opportunities. While using the redirect, you should note that if the user cannot understand the essence of the redirection, he/she could be annoyed. That’s why you should make fine and clear shortenings, appeasing the user with every little detail about their destination when they are ready to click. Share your questions and experiences in redirection and managing the affiliate links on the site in the comments section. We continue the series of reports about the industry-specific events the Travelpayouts team attends. 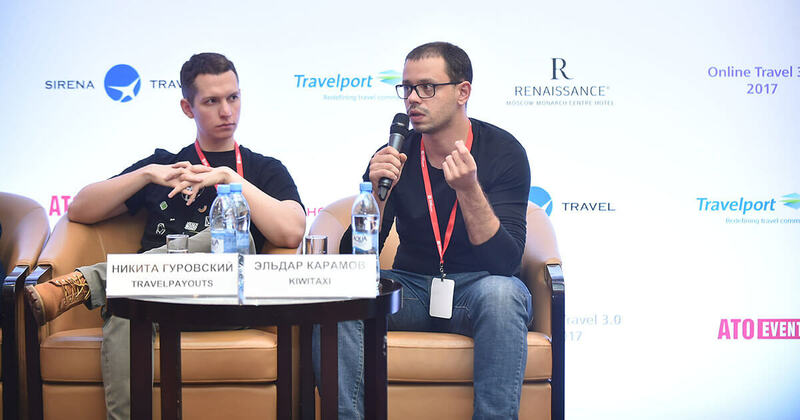 Today, we will share our experience of the Online Travel 3.0 international conference, which was held in Moscow on October 24-25. Recently more currencies and domains became available in the Travelpayouts plugin. But that’s not all — we have considered your suggestions from your feedback, and a lot has been taken into account in the updated plugin version. Now it is possible to select the desired month in the calendar widget, filter airlines or flights, and more. But first things first.